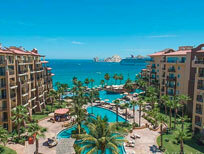 Was this your first time in Los Cabos? Blake: Yes, this was my first time in Los Cabos, and the city blew me away. Between the gorgeous villas, the crystal clear water, and liveliness of the city, there was absolutely nothing not to love about Los Cabos. Gerard: Yes, this was my first time here in beautiful Cabo San Lucas! What did you like most about the destination? Blake: Although CaboVillas.com let us stay in the most beautiful villas I have ever seen, the most memorable part of Los Cabos was the people we met. Every single one of our tour guides, hosts, and especially our Transcabo driver, Luis, were so genuinely friendly. It was amazing to feel not only welcome, but cared about as well. Gerard: I absolutely loved the liveliness of the city as well as El Arco! Seeing the beauty of the rock formations in person is breathtaking. What were some highlights of your experience in Cabo? Blake: Being able to work with CaboVillas.com was an experience I will never forget, but if I had to choose just one activity to highlight, it would have to be going out to the arch on the Pisces sport fishing yacht. This experience was the definition of luxurious, and the footage that we shot that morning resulted in some of the best clips of the entire trip. Gerard: The highlights of my experience would have to be kayaking by El Arco and swimming in the infinity pool at Villa Gran Vista! Also, I would like to add that the food is amazing, the flaming coffee at Los Deseos restaurant on the marina really stood out. How long have you been shooting video? What do you shoot with? Blake: I have been shooting video (BTAK Films) for a little over three years now, and have had a passion for it ever since I picked up my first camera. I shoot on Sony’s Mirrorless line, and their cameras have been my go-to ever since I have pursued videography professionally. 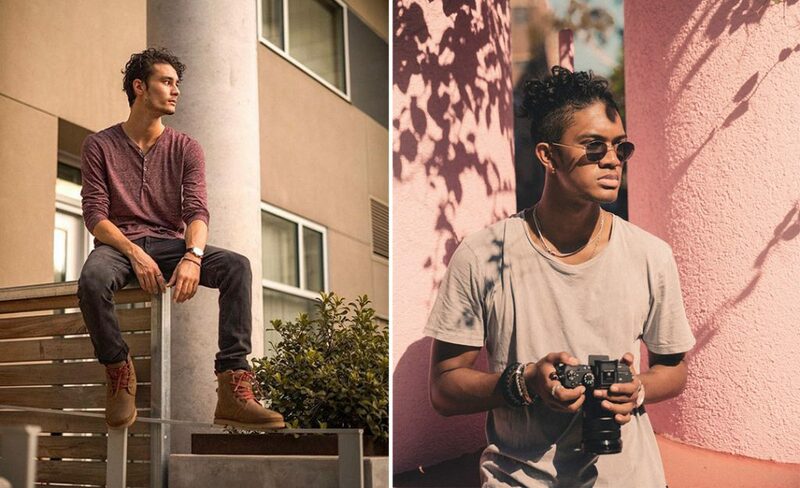 Gerard: I have been pursuing videography for about three years and photography for about 2 years, professionally working in this industry for a little over one year now. I started my production company, GH Productions (GHP), working with brands, companies, and agencies as well as catering to small businesses, weddings, parties, music videos, etc. We have now expanded the company to a branding and marketing in-house production company adding services such as web design, app development, and graphic design. Currently I am shooting with a Sony A7R3 with a Sony 28mm, Sony 90mm G-master, Sony 24-70mm, and a Sony 50mm. The gimbal I use is the Zhiyun Crane 2 and the drone I have is the Mavic Pro. For the underwater shots I utilized an underwater housing for the Sony A7R3 called the Dicapac. Any particular interesting challenges in shooting video in Cabo? Blake: Time was unquestionably the biggest challenge on the shoot. CaboVillas.com planned an ambitious itinerary for our team, and after 6 full days of shooting we were exhausted. The moment that stands out most is when we literally had ten minutes to get off of the Pisces yacht and on to the snorkeling boat with Cabo Expeditions. Gerard tends to be more laid back, so I had to make sure our team kept on schedule. Gerard: The most interesting challenge I would have to say are the underwater shots and the parasails. Shooting underwater is extremely difficult; you have to be a very good swimmer and be able to stay underwater for a long period of time in order to get the best shots. The parasails were only difficult because of the winds and the speed of the boat. Both were still extremely fun and really pushed my limits in order to get the shot! It actually enlightened me on some things I could improve upon, and as soon as I got back it’s been nonstop practicing. What was the most fun to film? Blake: There wasn’t any part of this trip that wasn’t fun to film, but I would have to say that my favorite part the lifestyle scenes at Villa Marcella. With full creative direction, we really got to make the most of the absolutely gorgeous home and get some of my favorite shots of our entire time in Cabo. Gerard: The villas were the most fun to me, we were never really crunched on time, giving us the ability to let our creativity flow. What’s not to love about these gorgeous villas? You stayed at Villa Marcella, what did you like most about the villa? Blake: Villa Marcella was an absolute dream to be able to stay in. The grandness, and sheer beauty of the home is just incredible, but the best part is undeniably the beachfront view. Waking up in the morning and being able to not only look out on to the beach, but to be able to step out to it as well was just surreal. Gerard: Villa Marcella has been till this date one of the most extravagant villas I have ever stayed in. From the jaw-dropping architecture to its mesmerizing views of the Pacific Ocean, it is a perfect representation of the luxurious villas CaboVillas.com has to offer. Something I really loved is the concierge service as well. Right when we arrived, we were greeted, given a tour of the house, and served margaritas, chips, and guacamole. Cabo Villas made us feel right at home and gave us the ability to not only experience a stay with them but also document it as well! Blake: Villa Gran Vista was just as incredible to stay in. The highlight of the home is definitely the pool, as we spent almost every night that we were there in the hot tub. The way it sits up higher in the hills, was also amazing, and being able to look out onto all of the other beautiful villas in the area resulted in some of the best drone shots of the entire trip. Gerard: Villa Gran Vista was just as amazing, each villa has its highlights, and for this one it was the infinity pool overlooking both the villas and Pacific Ocean. Yet again, Cabo Villas exceptional customer service was shown by greeting us and the tour of the villa. When you first see the villa, you do not expect for it to open up the way does to you when you first walk in. It seemed as if the journey through the house was endless and constantly surprising. The villa is more than we expected and we had so many rooms to choose from, all with spectacular views of the ocean and villas. Overall, a delightful stay, in my opinion, especially if you are with a group of people. How was the experience of services from our partners? Blake: As I mentioned before, my absolute favorite part of Los Cabos was the people. All of companies that we were able to work with took such great care of us, and truly accommodated to all of our needs. Some of the greatest impressions come from Captain Dan with Pisces Sportfishing, Solomon with Cabo Expeditions, and of course Luis with Transcabo. These people had such a significant impact on our trip that I’ll remember their names until I am once again in Los Cabos and am able to ask for their service once more. 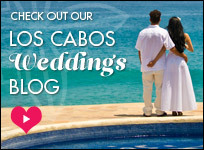 Gerard: The partners Cabo Villas had were absolutely amazing! Without them we wouldn’t even have the chance to fully experience Cabo, itself. From Transcabo to Pisces Yachts, each of them revealed a different activity and the beauty of Cabo San Lucas and its culture. All partners treated us like family and catered to our needs. Blake: This entire experience was incredible, and I would like to personally thank CaboVillas.com Director of Marketing Robert Trama for not only allowing our team to shoot content, but for planning out our stay in such a way that allowed us to capture Los Cabos from every angle. Everything from the villas, to the activities, to the service was absolutely flawless, and Robert played the role of the perfect creative director. 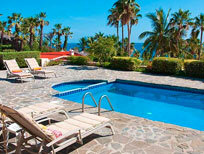 Gerard: I would Like to personally thank Cabo Villas, their partners, and all that played a part in our stay in Cabo! It was a truly amazing experience and I cannot wait to come again. Specializing in Los Cabos for over 30 years, our team loves sharing our expertise, passion and insider tips for this beautiful destination. We focus exclusively in Los Cabos, Mexico travel representing over 100 vacation rentals in Cabo and 50 beachfront resorts. In addition to our outstanding accommodations and villa rentals, we offer an exceptional level of personalized guest service. 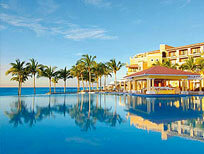 To start planning your amazing Cabo vacation, contact our team at 1-800-745-2226. This entry was posted in Cabo Insider Tips and tagged behind the scenes, Cabo, Cabo San Lucas, Cabo Travel, Destination Video, Insider Tips, Los Cabos, Los Cabos Video, video. Bookmark the permalink.